Today you will find a number of products and treatments that promise you to be the best way to clear up acne. But does it really help you in clearing it? Probably No! Since, there is no such treatment that works effectively in removing acne. One type of treatment may be effective in an individual but may not work on others. 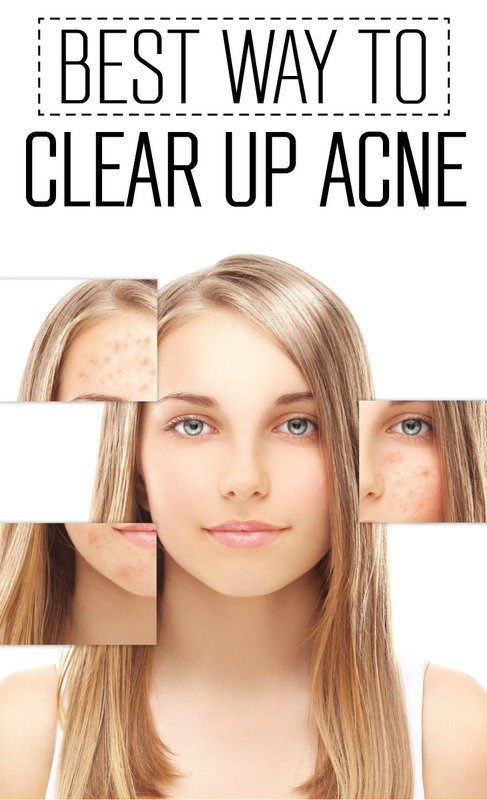 So listing the best way to clear up acne is not as simple as it sounds. The occurrence of acne is not the same for everyone. Earlier it was considered that sulphur preparations are the best treatment but researchers have revealed that sulphur based treatment increases the severity of the recurrent acne. Also the use of sulphur tends to cause short term abrasion to the skin though it acted as a disinfectant. There are a number of products such as accutane, proactiv, retin-a, benzoyl peroxide, salicylic acid etc. are some of the common treatments that are being used these days. These treatments may work for some people but may not be effective in others. So trying to find the best acne treatment is quite troublesome. The only way is to move on and keep on trying different types of treatment to find out which one works the best for your skin type. Also there is no such treatment or medication that can clear your acne at just one go. Acne is one such condition that cannot be cured but can be controlled. So perseverance is the key. A number of people have also tried using home remedies to get rid of their acne. People have tried using vinegar, honey, lemon juice, egg yolk, dandelion root, garlic, basil, toothpaste etc. in desperation. Though most of them have claimed these remedies to work for them but remember that not every remedy is for everyone. Domestic therapies such as tea tree oil, aloe vera, fenugreek, clove oil etc. which have certain medicinal values also seem to have benefited those with acne. However, if not followed the instructions properly, then these might induce certain side effects so it is important to get full information on the homemade cure you are going to follow. There are also a number of homemade facial masks that might be helpful in making your skin clean and healthier with radiance. However, most of the dermatologists do not consider home remedies as a long lasting treatment though it might be helpful in providing temporary relief but this is not true. Home remedies, if followed according to the instructions, have the potential to make your skin healthy and glowing forever. The only thing is that you have to make these remedies a part of your skin care regime. And the benefit of using these natural cures is that you are aware of what you are going to apply on your infected skin, which is not in the case of other acne medications and over-the-counter products. Cleansing your skin regularly is beneficial for acne prone skin. It helps in making the best acne treatment more effective. Though it has not proved scientifically that diet might contribute to acne breakouts yet it is important to watch your diet as recent findings have pointed out that diet might also be responsible for causing acne. For this, you can read our article on what to eat to prevent acne. Also maintain a proper hygiene.